This newfound control is allowing automakers to innovate at new levels and has helped fuel the Motor Trend Magazine’s car of the year for two years running. Both the Cadillac CTS sedan (2014 Motor Trend car of the year) and the all-electric Tesla Model S (won in 2013) run Linux. Together they demonstrate that innovative minds from the automotive and open source communities are coming together to produce award-winning cars that impress critics and consumers alike. The IHS Automotive numbers prove it out. Consumers expect automotive technology that easily integrates with their mobile devices and rivals that user experience. As a result, the automotive industry's manufacturing cost has been shifting to the software and away from hardware. The Motor Trend cars of the year demonstrate the use of open source software that is developed collaboratively to address this shift and deliver unique and new experiences to the consumer. GM's Cadillac CTS boasts the same Debian Linux-based CUE (Cadillac User Experience) in-vehicle infotainment system that earlier this year hit the market in the Cadillac XTS sedan and that’s now present in most Cadillac models. Tesla’s 2013 Model S includes an impressive 17-inch flat-screen computer running a custom-built Linux OS. These advanced IVI systems provide all of the advanced features we want in luxury cars, from voice recognition and touch-powered controls, to navigation and telematics data from all of the car’s sensors. And they help directly position automakers to compete globally in a rapidly changing market. 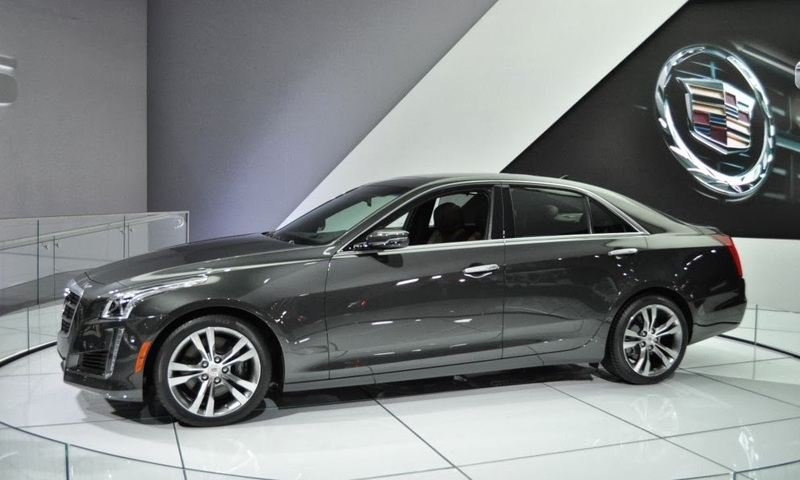 The CTS, for example, is part of Cadillac's new wave of products that have pushed sales up 27 percent so far this year. “(The CTS) has once again successfully evolved in order to remain contemporary and competitive well into the foreseeable future,” writes Motor Trend in its January 2014 issue announcing the car of the year. 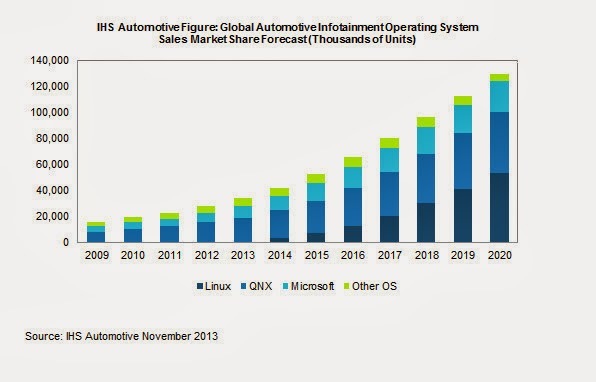 GM and Tesla are not alone in embracing open source in order to meet this demand. Some of the world's largest automakers including Nissan, Jaguar-Land Rover and Toyota are participating in Automotive Grade Linux to develop a common, Linux-based open source platform for IVI software development. BMW, Peugeot, Volvo and others are working on standards and code for Linux based vehicles through an organization called GENIVI as well. This disruption fueled by collaboration and open source software is what places Linux inside Motor Trend's car of the year two years in a row. And it’s this work that will continue to shape the way we interact with our cars well into the future.